Discussion in 'Civ4 - General Discussions' started by Thunderfall, Jun 15, 2007. EDIT (June 17): The chat in easy to read Q&A format is now available. Attached is the raw chat log for the Beyond the Sword Pre-release Chat with Firaxis. The chat lasted about 1.5 hours, from 4:30 PM EDT to 6 PM EDT. It was delayed for about 25 minutes due to some connection problems Firaxians encountered. Check it out if you missed the chat (or want to mine the new info from it)! Later today or tomorrow we will post a cleaned up version or a log in Q&A format, which should be much more readable. EDIT: lord_joakim has posted a cleaned up version of the chat log. Thanks lord_joakim! EDIT 2: Strider has posted a cleaned up version and also a Q&A version of the Chat After Party. Thanks Strider! A big thanks to all the Firaxians (Barry, Jesse, Alex, and Jon) for attending the chat!!! Also thanks to all the modders/testers (Dale, Kael, Rhye, Solver, Elholm, etc) who worked on BTS and attended the chat. Also thanks to the chat OPs (Gogf, Methos, Strider) for moderating the chat!!! And thanks to everyone for coming!!! At peak time, there were 180 people in the chat room! good work on the chat Thunderfall. Here's a chatlog with timestamps. "Never trust an Aztec with nukes!" 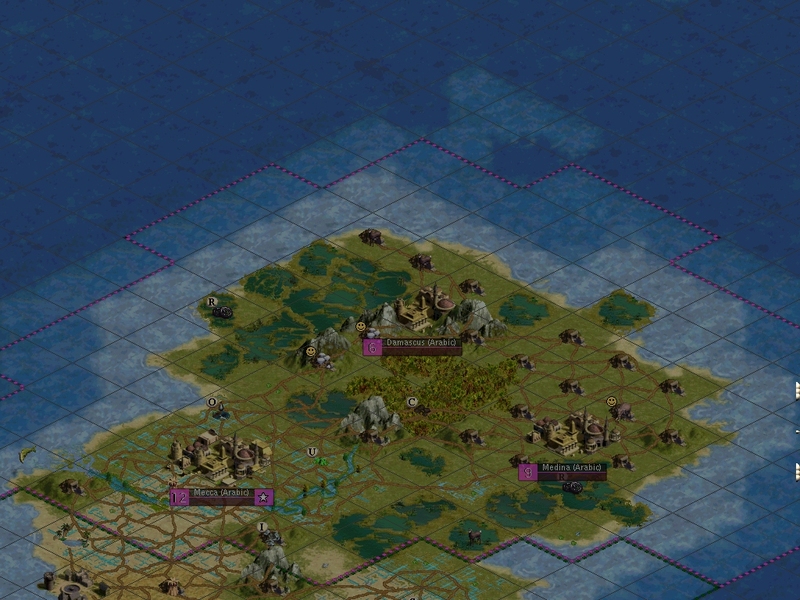 (Civ1 - unknown) | 2nd user of the Ancient Style. Thanks TF, CFC and Firaxis. I acquired an mIRC dealy bob and was looking forward to this. But was waylaid by some unforeseen work. It is great to see Firaxians amongst the fanatics once again. Thanks for your time Firaxis and thanks for your efforts TF et all. Wonderful! Can't wait to read all 1683 lines. Here guys, edited it for myself as I'd like to see more clear, easy reading. It's the first half (Until After Party), and I've removed all the small-talk, and rearranged the asked questions and answers, to show the actual facts we were told enjoy !! The car's on fire, and there's no driver at the wheel. And the sewers are all muddied with a thousand lonely suicides, and a dark wind blows. The government is corrupt, and we're on so many drugs with the radio on and the curtains drawn. We're trapped in the belly of this horrible machine, and the machine is bleeding to death. The sun has fallen down, and the billboards are all leering, and the flags are all dead at the top of their poles. It went like this: The buildings tumbled in on themselves. Mothers clutching babies, picked through the rubble and pulled out their hair. The skyline was beautiful on fire, all twisted metal stretching upwards. Everything washed in a thin orange haze. I said; "Kiss me, you're beautiful - these are truly the last days." You grabbed my hand and we fell into it, like a daydream or a fever. We woke up one morning and fell a little further down, for sure it's the valley of death. I open up my wallet and it's full of blood. Cool thanks lord joakim. I will reread the chat again now. Thanks, lord_joakim. I will include a link to your version in the news post. The last half may have some new info also, although not that much. That last half does include more usefull info and the after chat party is just cool to read. Man I wish I coulda been there. But at least I can be there in proxy after the fact. That took me 2 and a half hours to read the whole thing. Man I have no life! I make myself feel better by saying I was doing other things, but still I can't believe I actually sat down and read that whole log. I have been everything from a war hawk, to an ultra-libertarian to an environmentalist fascist on these forums. People can decide for themselves how serious they think I am. I've cleaned up the log from the "After Party." This is basically Jon going into more detail and clearing up a few things. The latter half includes Rhye's talking about mods (and his more specifically). A clearly formatted Q&A copy (without all of the unanswered questions) should be done soon. We pen our fates on the parchment of time. While turning to pages yet unwritten. But do our stories end once the ink has dried? Are the echoes of history all that remain of the past? Nice Job Strider and thanks for your involvement in the chat! Thanks, Strider! I appreciate it! The Q&A is completed for the After Party . Enjoy! Was there anything interesting? I read about a page and gave up. Someone should list any new info from the chat. EDIT : Should read FIRAXIS-CHAT thread. I am extremely disappointed about the answer to my Pitboss bugs question. He said he's not aware of the problems I mentioned. Have they even PLAYED Pitboss? Creator of Civstats. Formerly known as 2K Greg.